LEXINGTON, Ky. (Feb. 18, 2019) — Since 2002, the University of Kentucky College of Design has served as a driver for the power of place, which thrives off of the diverse Kentucky landscape while addressing the needs of the Commonwealth. The college started as the School of Architecture, a program offered within the College of Engineering, and has grown into the collaboration of architecture, interiors and historic preservation. Under the leadership of Dean Mitzi Vernon, the college focuses on the journey of a project rather than the end goal. The College of Design is known for having highly selective programs that attract a diverse student body. These students are now going to be a part of the college’s burgeoning future. An old tobacco warehouse, known as the Reynolds Building, is the next project for the College of Design. The Reynolds proposal accommodates all current programs, under one roof, and provides space for growth. With the building’s rich history, Reynolds also allows the college to celebrate the economic history and philanthropic spirit of R.J. and Katharine Smith Reynolds by recasting it for design education. 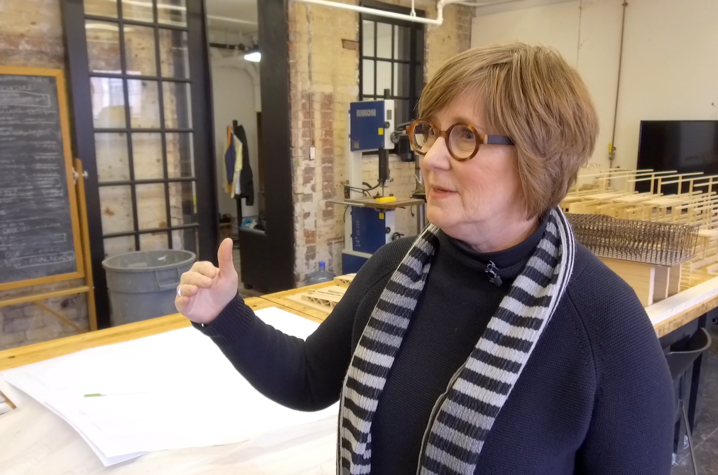 Dean Vernon, serving her fourth year as dean, is on a mission to unify and expand the College of Design and its programs, preparing for the future of design education. Watch the video above to see how the UK College of Design is growing and doing what they do best: designing, building, preserving and educating. If there is someone on campus you would like to see featured in a future "Campus Walks," email here.